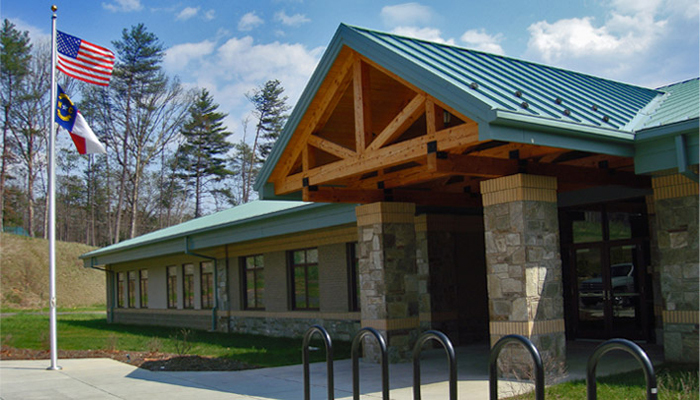 The Asheville Readiness Center occupies a 15 acre site on Richmond Hill adjacent to a city park. The lodge aesthetic of the heavy timber framing and stone masonry pay homage to the natural park setting of the site. The facility is the new headquarters for the 105th Military Police Battalion of the North Carolina National Guard.